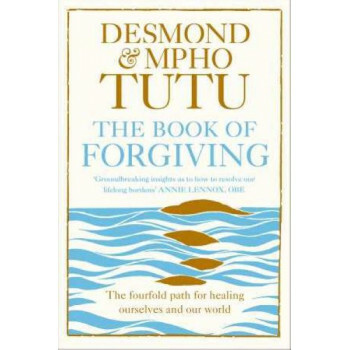 The Book of Forgiving, written together by the Nobel Peace Laureate Archbishop Desmond Tutu, and his daughter Revd Mpho Tutu, offers a deeply personal testament and guide to the process of forgiveness. All of us have at times needed both to forgive and be forgiven - whether small, everyday harms or real traumas. But the path to forgiveness is not easy, and the process unclear. How do we let go of resentment when we have been harmed, at times irreparably? How do we forgive and still pursue justice? How do we heal our hearts, and move on? How do we forgive ourselves for the harm we have caused others? Drawing on his memories of reconciliation in post-apartheid South Africa, Archbishop Desmond Tutu has identified four concrete steps to forgiveness through which we must all pass if we are to reach our destination: 1) Admitting the wrong and acknowledging the harm 2) Telling one's story and witnessing the anguish 3) Asking for forgiveness and granting forgiveness 4) Renewing or releasing the relationship Each chapter contains reflections and personal stories, as well as exercises for practising each step of the path. The Book of Forgiving is a touchstone and tool for anyone seeking the freedom of forgiveness: an inspiring guide to healing ourselves and creating a more united world.